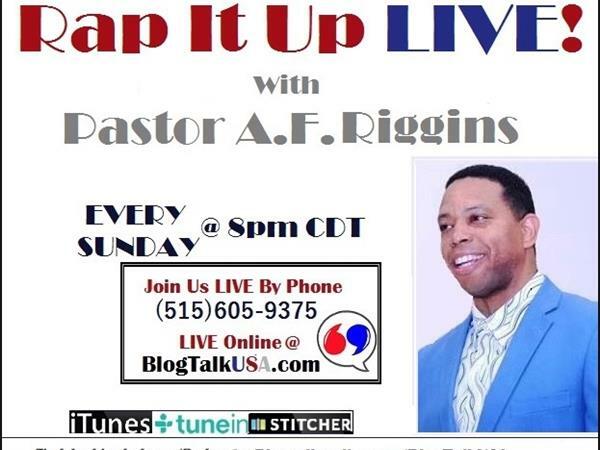 Rap It Up LIVE with Pastor A.F. Riggins open discussion on activism, civic engagement, current events, and headlines in news and politics with a live audience and callers like you! Each Sunday night Pastor Riggins hosts an open discussion to engage with live callers concerning the issues and topics most consequential to our lives as citizens and as valuable members of the global community that is all of humankind!